Lunch boxes bring back childhood memories and many collectors look for images that remind them of their youth. 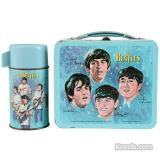 Beatlemania fans will pay thousands for a lunch box like this blue 1965 Beatles lunch box and thermos set. A recent sale included boxes from the 1950s, ‘60s and ‘70s. Feast your eyes on vintage lunch boxes. 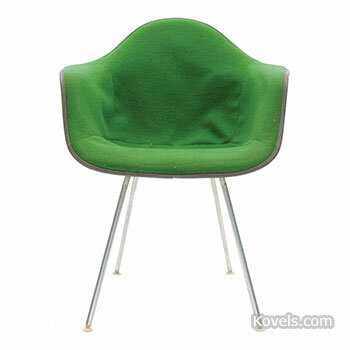 Collectors at a recent St. Louis auction picked up designer furniture at dorm room prices. Chairs and tables by big name designers like Charles and Ray Eames, designers of this Herman Miller side chair, went for less than dinner for two at a fancy restaurant. Settle in and check out the photos and prices. 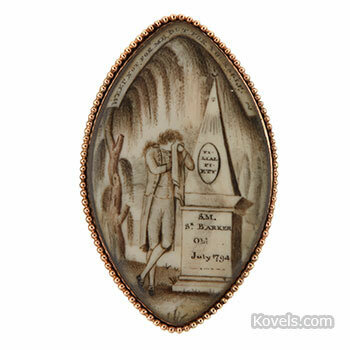 Pocket mirrors were trendy advertising swag like today’s key chains or mini-flashlights. Illustrations were sometimes racy and always caught the eye along with a sales message. 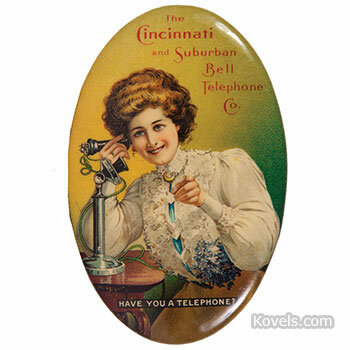 This beauty is selling telephones for Cincinnati & Suburban Bell Telephone Co. Reflect on more pics and prices. Costume jewelry by Eugene Joseff is intertwined with 90 years of Hollywood history. This simulated diamond and amethyst necklace was worn by Vivian Leigh as Scarlett O'Hara in Gone With The Wind. Share the glitz and glamour and see the Hollywood prices. Mourning jewelry was a source of comfort in a world before vaccines, antibiotics, and even photographs. Money was set aside for jewelry to memorialize deceased loved ones. This gold and ivory pin is inscribed, "Weep not for me, but for yourself," and was meant to inspire prayers for the departed. Solemnly swear to look at more photos and prices. Valentine greetings from all of us at Kovels! 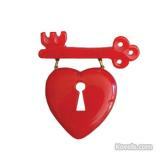 Hearts have been part of Valentine’s Day messages for hundreds of years. Here are a few famous hearts and their prices today. Art pottery sales are going up but great finds can still be had at house sales. How do you recognize the hot potters? And how do you protect your investment? Most pottery collectors know the big names, but what about potters like Rose Cabat? 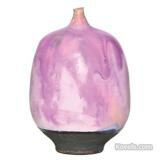 She is known for her tiny "feelie" vases like this pink and purple example. To get a feel for the art pottery market, slip over to our article. Don’t be fooled by a fantasy hatpin! 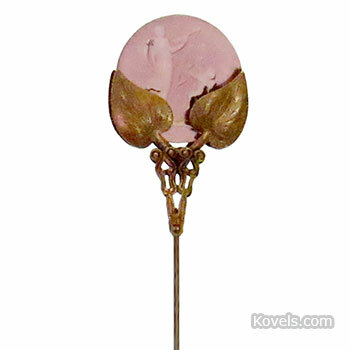 Hatpins from the 1860s to 1920s held large hats to large hairdos. Bidders stuck with expensive gold and amethyst pins or low-priced pins with white bead tops. Pin yourself down and learn what authentic hatpins look like and how much they’re worth. Military collectibles made before the 1900s sold well at a recent Massachusetts auction. The most important and valuable pieces are connected with a significant person, ship, or event. 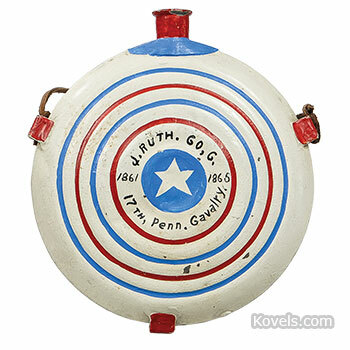 Discover the history and price of this Civil War canteen. 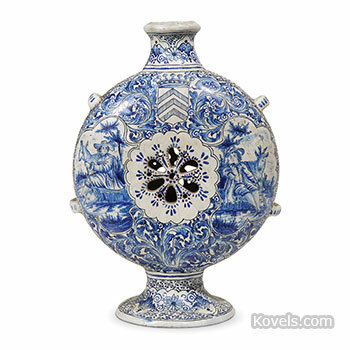 At a recent Pennsylvania auction, collectors clamored for antique Delft with Chinese-inspired decoration like this 18th century pilgrim flask. Delft meant for everyday use and even drinking games sold well. Find more Delft photos and prices.